Service Light Indicators – What Do They Mean? Not sure what each of the service light indicators in your Honda vehicle mean? This guide will give you a quick reference to understand when and why you need to bring your Honda in for service at Avery Greene Honda. 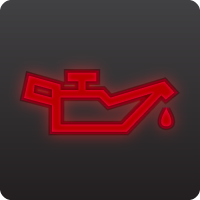 An oil can-shaped light indicates that your vehicle has low oil pressure. Stop at a service station as soon as possible to check oil levels. You can also perform this maintenance step at home, however make sure to bring your car in for service if the light still remains on after you’ve topped off the oil. A battery-shaped light indicates that the battery in your Honda is not charging properly. Have a technician check your battery as soon as possible in case it needs to be replaced. 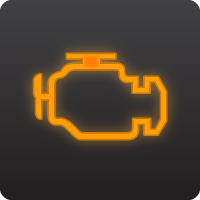 The engine-shaped light means that there may be a problem with the emissions control system. A consistent check engine light means that a professional should examine your vehicle as soon as possible. If your Honda is equipped with safety features such as the Lane Keeping Assist System or the Lane Departure Warning, you’ll find that each of these have their own service lights. When they’re illuminated, they generally indicate that the sensors are blocked, that temperatures are too high, or that there is a problem with the system. If you have more questions about service light on your Honda, don’t hesitate to stop by Avery Greene Honda. We’re here to help you decipher what your vehicle needs and to deliver the service necessary to keep it in peak condition. The 2018 Honda Odyssey is not your average minivan. For a family-hauler that will exceed your expectations, consider this option. These new features of the 2018 Honda Odyssey will help put the fun back into driving. The spacious interior of this minivan now contains versatile Magic Slide 2nd-Row Seats™, which allow you to easily access the third row. It also opens up more flexibility for storage space. The new 8-inch display audio touchscreen makes for easy, intuitive control over numerous in-cabin technology features. With available Wi-Fi, passengers can download apps for entertainment and navigation. Without Wi-Fi, there are still ways to make the most of the 8-inch screen. The CabinControl™ is a social playlist that lets every passenger have a turn selecting music. Another useful tool on the touchscreen is CabinWatch™, which uses night vision to show you a clear view of the back seat projected on your screen, no matter the time of day. An optional 10.2-inch display allows passengers in the rear to enjoy streaming videos and music. The 2018 Honda Odyssey is an amazing family vehicle with new features that will upgrade the comfort and security of your travels. Stop by Avery Greene Honda to test drive one for yourself.